It is mainly used in washing, filling and sealing carbonated beverage such as carbonated drinks, cola, iced tea and carbonated drink water and so on. And the speed of automatic carbonated beverage filling machine can be adjusted infinitively and accords with the standards. 3.It adopts bottle handing technology to make changing bottle more convenient, faster and easier. In quality guarantee, the technician of buyers should operate and maintain the equipments according to seller&rsquo;s demand, debug some failures. If you could not solve the problems, we will guide you by phone; if the problems are still can&rsquo;t solve, we will arrange technician to your factory solving the problems. If you could not solve the problems, we will guide you by phone; if the problems are still can&rsquo;t solve, we will arrange technician to your factory solving the problems. Aideke Industrial Shanghai Co., Ltd. 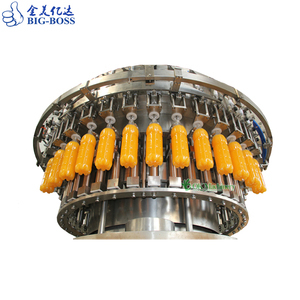 The line is also suitable for processing the fruits that share the similar characteristics. is the manufacture who devoted to fruit and vegetable processing machinery for over ten years in this industry. Q:Does the machine/equipment difficult to install 9 A:We will install and debug well for the machine before delivery . 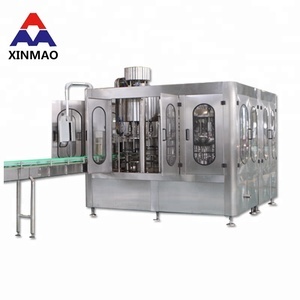 This production line is used for the production of fruit juice,vegetable protein drinks,enzyme ,functional beverages,tea drinks and no-gas drinks . The capacity of the line is 2000bph(500ml) . Degree of automation can be configured according to customer requirements,provide process flow and workshop layout design, full technical guidence. 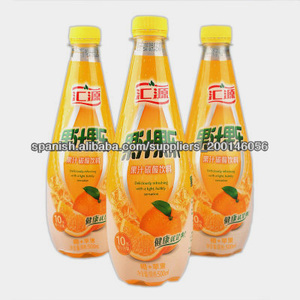 Alibaba.com offers 14,257 juice production line products. About 55% of these are filling machines, 1% are other food processing machinery, and 1% are packaging line. A wide variety of juice production line options are available to you, such as free samples, paid samples. There are 14,230 juice production line suppliers, mainly located in Asia. The top supplying countries are China (Mainland), Vietnam, and India, which supply 99%, 1%, and 1% of juice production line respectively. Juice production line products are most popular in Africa, Domestic Market, and Mid East. You can ensure product safety by selecting from certified suppliers, including 5,900 with ISO9001, 2,158 with Other, and 63 with OHSAS18001 certification.